Yes, we have our own in-house delivery & installation service. 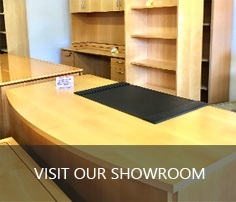 Yes, we have a 25,000 Square Feet showroom with all types of inventory ready for delivery or pick up. Are you guys open to the public? Yes, we are open to all types of walk ins no appointments needed. But we can also set up appointments upon customer request. What prices do your desk/chairs start at? 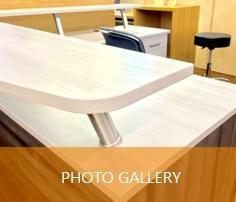 We have a wide range of pricing options from desks starting at $175.00 & chairs starting at 75$. New or Used. Yes, upon customer request we do provide in office floor planning free of charge to help guide the entire buying process. Yes. Click Here to estimate your monthly payments with our quote calculator.